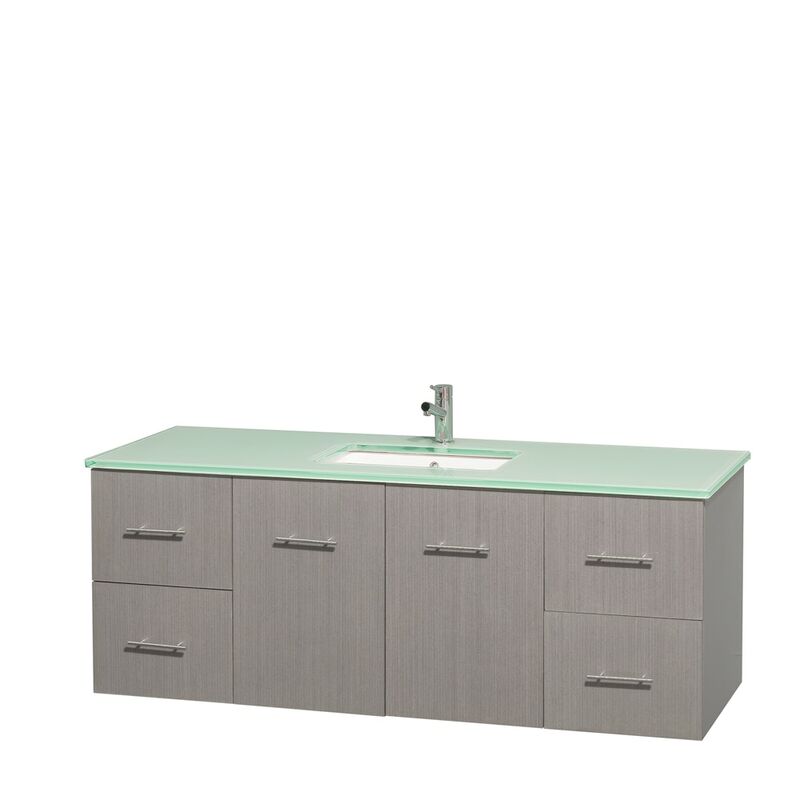 Includes White Square Porcelain Sinks. Single-hole faucet mount. Single-hole faucet mount. Matching mirror(s) not included. Metal exterior hardware with brushed chrome finish. Two (2) functional doors. Four (4) functional drawers. Plenty of storage space. Includes drain assemblies and P-traps for easy assembly.